What should a GP do with a morbidly obese patient who is in denial about their weight problem? Although it involved a complex set of facts, it’s time to revisit Almario v Varipatis (No 2)  NSWSC 1578, reversed on appeal (Varipatis v Almario  NSWCA 76). Doctors should take no comfort in the fact that Dr Varipatis’ liability was reversed on appeal. It’s doubtful the case would be decided the same way today. This post explains why. Judgments in both courts remain important for their discussion about what a GP’s duty of care requires in terms of specialist referral [see box at the end of this post]. In future, more and more Australian GPs will end up managing obesity and its complications. The problem is only going to get worse, given the changes in the weight distribution of the population, and the reluctance of Australian governments to take prevention seriously. In 2014-2015, 63.4% of Australian adults – that’s 11.2 million people – were either overweight or obese, and more than 5% had diabetes. 280 Australians develop preventable Type II diabetes each day (one person every five minutes). Click here for a recent report prepared by Obesity Australia in partnership with PwC on the cost of obesity in Australia. At the time he became a patient of Dr Varipatis, in 1997, Mr Almario had fatty liver disease and diabetes. Both problems arose from his obesity. Both problems were risk factors for more severe kinds of liver disease that could progress to cirrhosis and ultimately liver cancer. However, Mr Almario was in denial about his weight problem, and believed his health problems were due to exposure to toxic chemicals in the workplace. Mr Almario had previously worked as a cleaner at the Union Carbide Centre at Rhodes in Sydney, which was a contaminated site. Mr Almario was not directly involved in remediating the site, but had cleaned toilets and showers used by those who were directly involved. There was no evidence his liver problems were caused by toxic exposures. Nevertheless, Mr Almario sought out Dr Varipatis because the latter had an interest in nutritional and environmental medicine. In 2009 Dr Varipatis had been found guilty of unsatisfactory professional conduct for administering high doses of IV vitamin C to a patient with renal disease. Dr Varipatis treated Mr Almario between August 1997 and February 2011. Mr Almario developed cirrhosis in 2001, and this progressed to liver cancer in 2011. When it reached the NSW Supreme Court in 2012, Mr Almario’s legal case was essentially that Dr Varipatis’ duty of care required him to take active steps to address Mr Almario’s morbid obesity. Mr Almario had a history of failed weight loss attempts, and given his beliefs about toxic exposures, he was not a compliant patient. Nevertheless, there were two main opportunities to prevent further deterioration to Mr Almario’s health: to refer him to a multi-disciplinary obesity clinic or endocrinologist; or to refer him for assessment for bariatric surgery (waist band surgery that physically constricts the size of the stomach and the amount of food that can enter it). Mr Almario’s case was based on the claim that if he had undergone bariatric surgery, then it was likely he would have lost significant weight: this would have halted the progression of liver disease, preventing the cirrhosis and liver cancer that are complications of liver disease. In his judgment, the trial judge repeatedly said that the patient had the disease of morbid obesity and that it was life threatening: Almario v Varipatis (No 2)  NSWSC 1578 (21 December 2012), , , , . The trial judge found that given Mr Almario’s co-morbidities and history of failed weight loss attempts, a reasonable GP would have referred Mr Almario to a surgeon for assessment for bariatric surgery by mid-1998: -. In addition, the trial judge found that Dr Varipatis breached his duty of care in failing – by mid 1998 – to refer Mr Almario to a specialist in obesity management who could have investigated all options for managing Mr Almario’s morbid obesity: . The trial judge stressed that management of a patient like Mr Almario was not a passive process. “More pro-active involvement was required” even to the point of making the appointment for Mr Almario to attend an obesity management specialist: . On appeal, the NSW Court of Appeal considered three issues. The Court of Appeal said unambiguously that a general practitioner’s duty of reasonable care to their patient may require them to encourage the patient to lose weight, and to encourage the patient to accept an appropriate referral. Basten JA accepted that the duty of reasonable care may require a GP to advise a patient “in unequivocal terms that weight loss is necessary to protect his or her health, to discuss the means by which that may be achieved and to offer (and encourage acceptance of) referrals to appropriate specialists or clinics”: Varipatis v Almario  NSWCA 76, . On the other hand, that didn’t mean the GP has to write futile referrals if the patient has refused to take the doctor’s firm advice. The duty of care is not an exercise in futility. In this case, since the plaintiff had historically failed to follow the advice of his GP, the Court of Appeal thought that there could be no breach of duty in failing to “re-refer” the plaintiff to an obesity clinic: Varipatis v Almario  NSWCA 76, -, , . As far as referral for bariatric surgery was concerned, the Court of Appeal found that the weight of evidence did not support a duty to refer for assessment for bariatric surgery in 1998, since at that time the procedure still carried significant risks and was very uncommon: Varipatis v Almario  NSWCA 76, , . However, general practitioners should find no comfort in this finding. Bariatric surgery is now much more common and performed on patients with a BMI of ≥40k/m2 or on those with a BMI of 35k/m2 or more and who have co-morbidies such as diabetes or cardiovascular disease. Over the past 15 years, the number of bariatric procedures processed by the Australian Medicare system has risen from around 1,350 (2000) to more than 16,700 (2015). (iii) Failure to refer to an hepatologist? Thirdly, the trial judge, and the Court of Appeal found that even if the plaintiff had been referred to a hepatologist, Mr Varipatis would have failed (in the absence of bariatric surgery) to achieve weight loss. Obesity was not understood to be a cause of liver disease before 2002, and there was no evidence that a hepatologist would have done anything other than advise the patient to lose weight, or refer the plaintiff to an obesity clinic: Almario v Varpiatis (No 2)  NSWSC 1578, -; Varipatis v Almario  NSWCA 76, -, . Understanding about the role of obesity in liver disease has developed since Dr Varipatis was treating Mr Almario, and if this case were re-litigated today, a court would be unlikely to conclude that no harm arose from failure to refer for specialist assessment. Meagher JA also dismissed the appeal on the basis that a doctor will not be liable if a defendant can prove that, having taken a course of action that was consistent with reasonable care, the harm suffered would not have been avoided on the balance of probabilities. In his Honour’s view, in circumstances where a doctor could discharge their duty by taking one or more precautions, the defendant doctor need only show that had they taken one of the precautions that was consistent with reasonable care, it would not likely have avoided the harm suffered by the plaintiff: Varipatis v Almario  NSWCA 76, , . So…why is the Varipatis decision worth re-visiting? 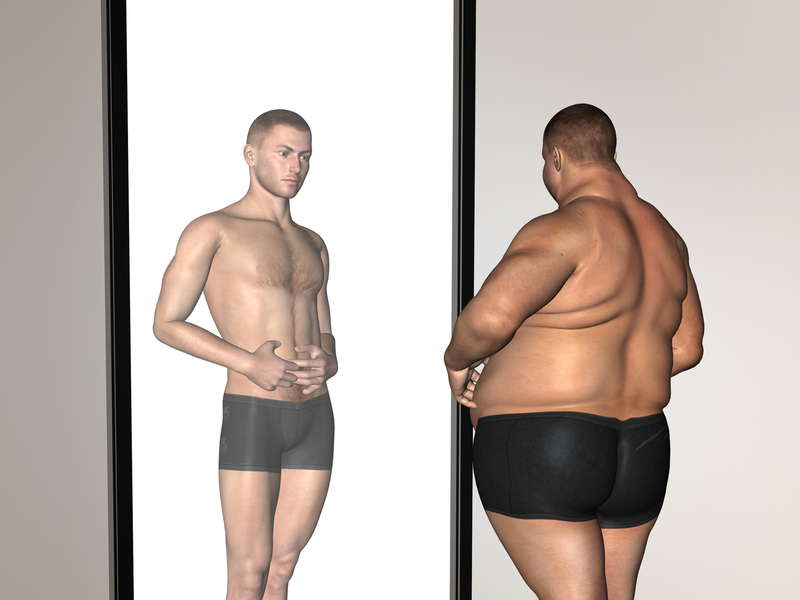 Dr Varipatis was essentially excused by the fact that his patient had a history of being unable or unwilling to follow advice, bariatric surgery for extreme obesity was still unusual in 1998, and because obesity was not understood as a cause of liver disease. Close to 20 years later, the factual matrix that arose in Varipatis is really a wake-up call for medical practitioners to respond more aggressively and with a clear strategy to patients who present with severe obesity. Much more would be expected of GPs in 2017, I believe, than was the case in 1998. Firstly, GPs could be exposed to lawsuits by obese patients who face fatal outcomes or complications as a result of their failure to receive timely assessment and referral. That follows from basic principles well established in other cases. Secondly, complaints against GPs might also be directed to the Health Care Complaints Commission, or to the Medical Council of NSW. In such circumstances, there would be no need to prove that the complainant suffered harm or damage. Thirdly, and admittedly in more unusual circumstances, health and social service professionals might also be liable for failure to comply with mandatory notification obligations. It’s worth considering all three possibilities against the facts that emerged in the Inquest into the Death of “AA”, a decision handed down on 26 September 2014. On 29 September 2010, a 10 year-old boy called “AA” died quietly on the way to the John Hunter hospital. He died from hypoxic brain injury following a cardio-respiratory arrest that was caused by his severe obesity, a condition that his parents had failed to address. His death was largely unnoticed by the media. It illustrates the wider epidemic of severe pediatric obesity, which is getting worse. As the weight distribution of the pediatric population has shifted to the right, those on the extreme right (ie cases of severe pediatric obesity) risk falling off the edge. The Coroner’s report details the interactions over the preceding two and a half years between AA and his school and the John Hunter hospital. AA had severe obstructive sleep apnea and a history of missed medical appointments that the Coroner found amounted to medical neglect. AA’s sister and his parents didn’t realize how critical the situation was because AA was frequently drowsy as a result of obstructive sleep apnea (para 237). The Coroner found that Child Protection Intervention was necessary for AA’s medical condition to be addressed, because his parents were unable to help him. In a paper published in the Medical Journal of Australia in 2009, Shirley Alexander, Louise Bauer, Bernadette Tobin and I argued that in appropriate circumstances, failure to notify child protection services when parents of a grossly obese child are unable or unwilling to ensure he or she receives adequate support to moderate food intake and improve diet may constitute a breach of mandatory reporting provisions. A child is at risk of significant harm if the child’s parents or caregivers are “unable or unwilling” for the child to receive “necessary medical care” (Children and Young Persons Care and Protection Act 1998 (NSW) s 23(b)(1)). Actions like referring a morbidly obese child to child protection services illustrate individual-specific solutions to a problem that has wider, societal causes. A smarter, longer-term solution would be to moderate the influences that have contributed to children having the life-threatening disease of severe obesity. In July 2016, the NSW government set itself a target of reducing overweight and obesity rates in children by 5% over 10 years: see NSW Strategic Plan for Children and Young People. Reaching this target will require a basket of actions and will inevitably include the need to improve the food environment. It has long been clear that doctors can breach their duty of care by failing to refer a patient for further investigation and management by specialists. For example, in the missed cancer diagnosis case of O’Shea v Sullivan (1994) Aust Torts Reports 81-271, the court referred to the “golden rule” that “abnormal bleeding is due to cancer until proven otherwise”. In PD v Harvey  NSWSC 487, Cripps AJ found that the failure of GPs not to follow up a patient with HIV to ensure he kept an appointment they made for him at the Royal Prince Alfred Immunology Clinic was also a failure of reasonable care (para 70). The patient in question went on to deceive (and infect) his sexual partner, who believed he was HIV negative. See Sally Gleeson, “Almario v Varipatis – A Weight Issue for General Practitioners”, Precedent (Sydney, N.S.W. ), No. 121, Mar/Apr 2014: 48-50. Amazing Article!!! Thank you very much for sharing this detailed post..It was very interesting and helpful.